Luxury amenities and service in Portsview at The Waterways. Spacious Portsview condos Aventura Florida water views. Portsview at the Waterways condominium complex is Aventura prestige waterfront location. 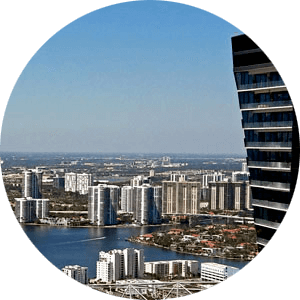 Located on Intracoastal Waterways of Aventura Fl at 3610 Yacht Club Drive Portsview Aventura condos for sale are one of the most though after locations just minutes from Gulf Stream Casino. 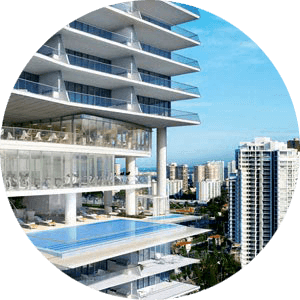 Portsview condos Aventura Florida the ultimate in luxury condos in Aventura situated on the pristine Intracoastal Waterfront. Please Contact Us or give us a CALL 786-505-4786 if you have a question on the Portsview condos for sale. The Portsview condos complex offers three tower buildings and twenty townhomes offer limited living and privacy to the residents with direct water views. With breathtaking eastward views of the Atlantic Ocean, Intracoastal and the Golden Beach community of Porto Vita is a prime choice for anyone looking for luxury living with lots of space to spare. Build in 1988 complex offers all the modern luxuries and amenities that today’s buyers are looking for. Portsview at the Waterways condos a total of 554 luxury condos ranging in size from 1100 to over 1400 square feet and offer two to three spacious bedroom units. This is more living space than some of the single homes in the area. Designed with many varieties of floor plans and layout Ports View Waterways community also offers a hand full of townhouses with two to three stories layout throughout the community. With Mediterranean Architecture, private terraces ranging in size from 1100 to 1400 square feet these luxury townhomes for sale at Portsview feel like a single family home. A community designed and built with the features and amenities that will always be in demand by today’s and future buyers down the road, a place that will never go out of style. Portsview at the Waterways condos for sale is such a place. If luxury carefree living is your lifestyle and City of Aventura is a place you want to call home than Portsview condos for sale is a must see community. Give us a call 786-505-4786 and let our agents help you find a home that will suit your lifestyle in Ports View luxury condo community Aventura FL. Rarely availible town house. Waterfront, garage, upgraded kitchen and floors. Portsview At The Waterway Bldg.